Click Here To See Badtime Stories Comic Book! Check out this stunning OVER-SIZED 1971 HORROR page, which was created ENTIRELY by the great Bernie Wrightson for the lead-off story in Bernie's first big solo effort: "Badtime Stories!" (which was drawn at the EXACT same time that Bernie Wrightson first drew his famous DC Muck-Monster: SWAMP THING!) 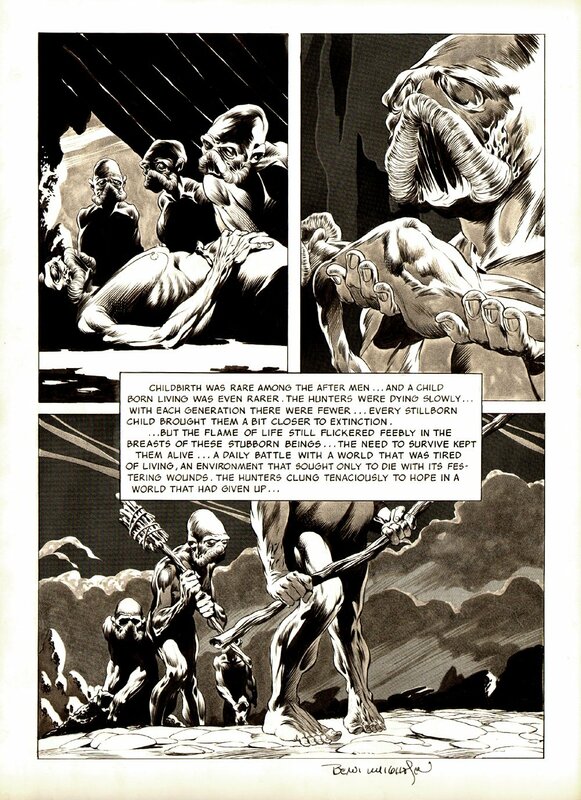 This apocalyptic story titled: "The Last Hunters" was One of Bernie Wrightson's best early stories! This was easily the best story in that desirable and hard-to-find comic. The original artwork, was created in ink and grey wash on CRAFTINT board, with Zipatone shading film added on this page for a great effect! This beautiful page has a drawn image area measuring 12" x 17.25", on a 14.2 by 21.25 inch art board. Bernie added his signature on this page also! If you've been waiting for that ultimate Bernie Wrightson original art to add to your collection, look no further. The detail on this art is incredible, so don't let this 1 pass you by! For lovers of fantasy comic art, It doesn't get much better than this! 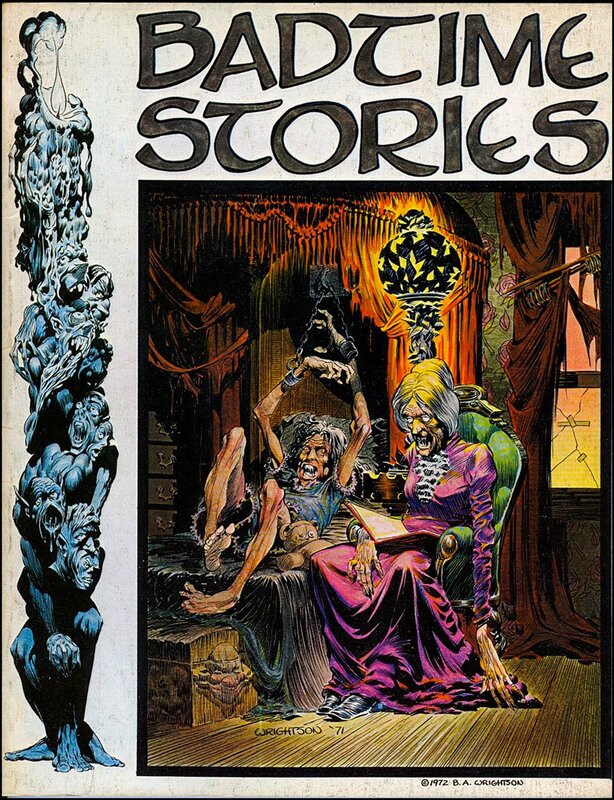 From his groundbreaking work on Swamp Thing, into the "Studio" era with colleagues Barry Windsor Smith, Michael Kaluta, and Jeff Jones, and onto mainstream visibility in the 1980s with projects like Cycle of the Werewolf and Creepshow, Wrightson’s accomplishment and influence has been as broad as any artist emerging from the realm of comic art. His work in comics and illustration art is in a class by itself among collectors and fans of the medium. ALL HIGH end pieces of art, including this one, are able to be purchased with VERY fair time payment plan options, and trades are always considered towards this and "ANY" art on our website! Just send us an email to mikeburkey@aol.com and we can try to work something out.